directs the Executive Director to respond to its information needs. The Executive Committee (EC) of the Board of Directors is comprised of the presidents, or their appointed representatives, of the University of Hawaii and the Oceanic Institute, the two institutions that co-administer the Center. Nicholas Comerford, Ph.D., of the University of Hawaii, and Shaun Moss, Ph.D., of The Oceanic Institute of Hawaii Pacific University, are the two Executive Committee members. The Executive Committee is responsible for making the final decisions on administrative policy, budget and procedures of CTSA. It also appoints the Executive Director of CTSA. Nicholas Comerford is the dean of the University of Hawaiʻi at Mānoa College of Tropical Agriculture and Human Resources and director for Research and Cooperative Extension. Prior to joining CTAHR in September 2017, Comerford was the director of North Florida Research and Education Center, University of Florida, where he was also a professor in the soil and water science department. In his early career, Comerford was employed as a forest soil specialist by the State of Washington, mapping forested soils in the foothills of Mount Rainier and along the Skagit River Valley. Comerford’s research expertise is in the area of forest soils, with an emphasis in tropical and subtropical regions. As an active member of the Soil Science Society of America, he was elected president of the society and served in that capacity in 2010. Comerford earned his PhD in silviculture and forest influences from the State University of New York and Syracuse University, his master’s degree in forestry from the University of Maine and his bachelor’s degree in forestry from the University of Illinois. Singeru Singeo joined the CTSA Board of Directors in 1996. Singeru wears several hats at the College of Micronesia (COM). He is COM’s Executive Director and also Interim Director for Land-Grant Research, as well as the Extension Program. Singeo while also majoring in Business Education earned a bachelor’s degree in Biology at Pacific Union College in Angwin, California. He went on to earn a doctorate in dentistry from Loma Linda University in California. Singeo has a diverse background. He is licensed to practice dentistry in California and in Micronesia where he worked as staff dentist for Pohnpei Health Service for several years. Director and Instructor of Technical Training at the College of Micronesia Dental Nursing School in Palau. He also was an adjunct instructor at Loma Linda University School of Dentistry for its program in Micronesia. Singeo has held several administration positions at the College of Micronesia. He has served as Development Officer, Personnel Officer, and Chancellor of the College of Micronesia System. His interest in Marine Biology has led him to support the establishment of an aquaculture hatchery in Pohnpei for spawning and grow-out work related to pearl oysters and sea cucumbers. He continues to promote the establishment of other aquaculture hatcheries throughout the Micronesian region. Lee Yudin has represented the University of Guam as a member the CTSA Board of Directors since 2003. Yudin is the Dean of the College of Natural and Applied Sciences at the University of Guam (UOG). He has been with the University of Guam since 1989. Yudin earned his master’s and doctorate degrees in entomology from the University of Hawaii. As a professor at UOG, his research was primarily in urban pest management with an emphasis in the control of subterranean termites. Yudin sits on the Board of Directors for the Agricultural Development in the American Pacific (ADAP) program – a consortium of land grant institutions in the Western Pacific. He is also a member of the Asian Association of Agricultural Colleges and Universities (AAACU). Yudin has numerous extension and research publications. He has traveled extensively throughout the world working in the Middle East and in East Africa. Yudin is a strong supporter of aquaculture on Guam and in the region. Dr. Yudin was elected to the Policy Board of Directors (Board on Agricultural Assembly) from 2008 – 2010 and most recently from 2010-2012, as a voting member representing the Insular Institutions. In addition, Dr. Yudin is also a member of Budget and Advocacy Committee and the Committee on Legislation and Policy (former Farm Bill Committee). Harry Ako joined the CTSA Board of Directors in 2009. Ako recently retired from the University of Hawaii’s College of Tropical Agriculture and Human Resources, where he served as chairman of the Department of Molecular Biosciences and Bioengineering among other roles during his tenure. In the years leading up to his retirement he devoted his time to nurturing and advancing the department’s award winning research programs in the areas of molecular biosciences and bioengineering, despite the limitations in available resources and its outreach activities (via winning business competitions), as well as its strong, dynamic and growing instructional programs, both undergraduate and graduate. His earlier scholarly work led to the formulation of marine shrimp and marine finfish feeds that were not only well considered, but also held dominant commercial positions as well. There was a focus on the nutritional as well as palatability aspects of feeds. Live feeds developed for baby marine fish focused on their fatty acids and led to greater stress resistance for these animals. The omega-3 fatty acid DHA (22:6n-3) was found to be critically important. Ako conducted research on freshwater ornamental fish and ornamental fish coloration with carotenoids. Other aspects of his research team’s work with fatty acids led to the development of the Hawaiian oils industry. Kukui nut oil products have made it into the cosmetics industry and macadamia nut oils have a presence in the cosmetics as well as the food oil industries. Dr. Moss received his doctoral degree in Zoology from the University of Hawaii in 1993. From 1993-1994, Dr. Moss worked in eastern Indonesia as a Fulbright Scholar and he returned to Hawaii in 1994 where he was an Associate Professor in the Marine Sciences Department at Hawaii Pacific University. 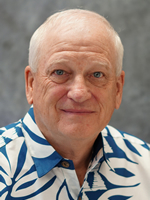 From 1997 - 2009, Dr. Moss served as Director of the Shrimp Department at Oceanic Institute of Hawaii Pacific University (OI) where he conducted research on a variety of topics related to shrimp aquaculture, including selective breeding, biosecurity, and environmentally sustainable growout technologies. From 2009 - 2012, Dr. Moss served as Vice President of Research and Development at OI and as Director of the USDA-funded U.S. Marine Shrimp Farming Program. Currently, Dr. Moss is Acting President and Chief Executive Officer for Scientific Programs at OI. Ron Weidenbach is Co-Owner/Manager of Hawaii Fish Company Inc., a multi-species aquafarm formed in 1978 and now located on the North Shore of Oahu, Hawaii. He has been a member of the CTSA Industry Advisory Council (IAC) since 1992, Chair of the IAC since 2010, and President of the Hawaii Aquaculture and Aquaponics Association since 1997. Ron holds B.S. and M.S. degrees in Natural Resource Management from the University of Michigan, School of Natural Resources and the Rackham School of Graduate Studies. He began his aquaculture career as a researcher with the University of Miami, Rosentiel School of Marine and Atmospheric Sciences in 1970, and subsequently held fisheries and aquaculture research positions with the National Audubon Society, the University of Michigan, and the East West Center. He has served as an aquaculture consultant to Pfizer Pharmaceutical International, the World Bank, the Hawaii Department of Land and Natural Resources, and the East-West Environment and Policy Institute, and has been Principal Investigator on numerous aquaculture research and economic development grants. Ron was honored by the U.S. Chapter of the World Aquaculture Society as its first Honorary Life Member, and was awarded the prestigious Tibbitts Award by the U.S. Small Business Administration as a national model of excellence for the Small Business Innovative Research (SBIR) Program, and a Certificate of Special Congressional Recognition for his years of aquaculture research and development work. 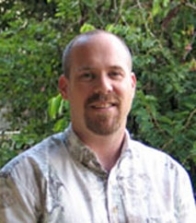 Dr. Darren T Lerner serves as the Director of the University of Hawaii Sea Grant College Program (Hawaii Sea Grant) and the University of Hawaii Water Resources Research Center (WRRC). In these roles Dr. Lerner interacts with the public at large in communicating the value of the scientific enterprise to the sustainable and regenerative use of coastal and marine resources including energy and water resource sustainability. Hawaii Sea Grant and WRRC offer a large number of K-12, undergraduate and graduate education and public policy programs. These are conducted throughout the State of Hawaii and the Pacific region. Dr. Lerner is also involved in a wide range of public outreach, education and training programs focused on energy and water sustainability in development at building and community scales and within the tourism sector. Dr. Lerner also maintains a research program in environmental physiology at the Hawaii Institute of Marine Biology as affiliate research faculty. His research program focuses on the growth and development of fishes. In particular, Dr. Lerner conducts investigations into the effects of environmental factors (e.g., water quality, temperature, salinity and contaminants) on growth, osmoregulatory ability, development, and behavior of fishes. Dr. Lerner earned his bachelor’s degree in political science and psychology from the University of Missouri, Columbia, a master’s degree in zoology from Oregon State University, and a PhD in organismic and evolutionary biology from the University of Massachusetts, Amherst. He was hired by the University of Hawaii in 2007.